Romantic Bungalows in Klong Prao. KP Hut is a guest house and restaurant on Klong Prao Beach in Koh Chang. 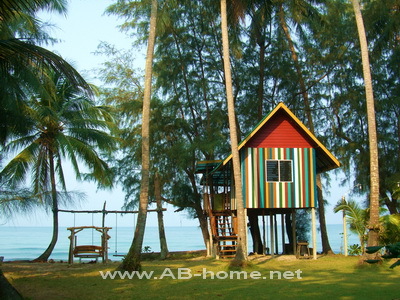 The tree houses are a good budget option for people who like nice sea views and rooms with Robinson Crusoe feeling. KP Huts Koh Chang is the right guest house choice for couples and backpacker who like romantic evenings on a quiet beach in a simple tree top bungalow in Thailand. 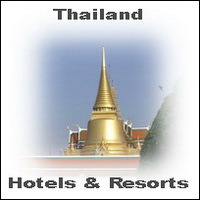 KP Huts are recommended by many travel guides like Lonely Planet and Loose. This Koh Chang huts are rightly a leading accommodation address for traveler and tourists who like rustic and romantic bungalows on Thailand’s elephant island in the Gulf. The friendly staff of KP Hut Ko Chang will help you to find the right activities and tours for your vacation in SE Asia. Hello, you have 2 bungalows with fan free from 8.1.2012 for 3-4 nights.